Lithographic processing in the semiconductor industry requires aspherical lenses up to 500 mm in diameter, which permit extreme reduction. The requirements placed on grinding machines to manufacture these lenses have to be very stringent to attain faultless results in surface machining. The drives built into the grinding machines therefore have to be highly precise. Schüssler-Technik offers torque motors (Figure 1), that enable high-precision grinding of mineral lenses, partly thanks to their integrated HEIDENHAIN angle encoders. Schüssler-Technik in Pforzheim, Germany, is divided into two divisions. The first division manufactures primarily milling, bending and laser soldering machines for the manufacture of eyeglass frames. The second is occupied with the R&D and sale of direct drives. It was founded 14 years ago from the desire to replace the transmission by direct drive in its special machines for eyeglass manufacture in order to be able to position more quickly and precisely as well as mill surfaces without leaving vibration marks. At the time, there were no torque or linear motors on the market that satisfied the demands of the company in Pforzheim. So the owner, Bernd Schüssler, decided to develop direct drives right in his own company. “For about six years now,” says Ullrich Gäbel, Head of R&D for direct drives at SchüsslerTechnik, “we’ve been offering other companies our customer-specific torque and linear motors as well as medium frequency spindles. Our revenue from this division, which today is approx. 30% of our total revenue at Schüssler-Technik, shows that the market recognizes our efforts here.” The following example of a grinding machine for the semiconductor industry shows how powerful these drives are today. 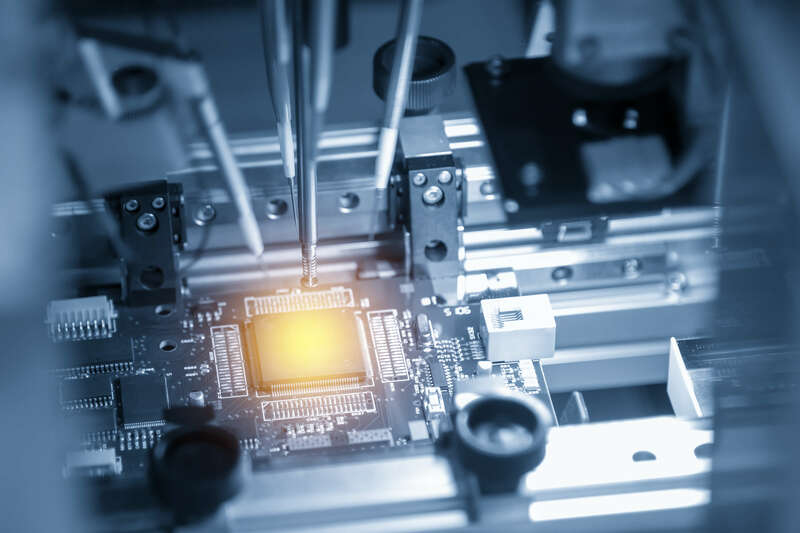 The manufacture of aspherical lenses for lithographic processes in the semiconductor industry is a particular challenge to the production process. The grinding machines used here and their components need to satisfy very demanding requirements. A well known manufacturer of grinding machines therefore uses the HGE pulsation-free torque motors from Schüssler-Technik. The advantage of iron-core torque motors over ironless motors is that they offer greater higher power density. However, a disadvantage of this type of motor is that the magnets and the slotted sheet metal normally generate latching forces that can be measured as pulses on the motor shaft. They would cause short-wave flaws when grinding the mineral lenses that would render the lenses useless. In spite of this disadvantage, Schüssler-Technik has been constantly improving the motors for many years in order to be able to employ iron-core motors with high power density even High-Precision Drives for the Optical Industry Technical Information Figure 1: In some areas, the highly accurate torque motors can replace hydrostatic drives By Andreas Fuchs Dipl.-Ing (FH) in applications with the highest accuracy requirements. Thanks to a multi-pole design, an optimized sheet-metal and stator winding technology as well as special stator sheets and magnets, the latching forces of the water-cooled motors are hardly measurable today. The quality of bearing, besides the reduction of the latching forces, is of decisive significance for the quality of the drives because both quantities determine the influence on the pulsation height of the motor axis. Schüssler-Technik has therefore developed its own axial-/radial roller bearing with a bearing pulsation of less than 0.01 µm. Such a small bearing pulsation is otherwise provided only by hydrostatic bearings. This hardly measurable bearing pulsation is attained through a very high quality of the bearing raceways and through minimal error in the roller geometry. The result is an iron-core torque motor with high power density whose total axial axis pulsation (pulsation by bearing and motor) is less than 0.02 µm. A further important requirement in the use of grinding machines to manufacture mineral lenses with diameters up to 500 mm and weights up to 50 kg for the semiconductor industry was that the motor bearing has to be made extremely tilt-resistant. This made it possible to keep the maximum tipping error to 0.2 µm thanks to weight transfer during motor operation. The maximum axial and radial runout of the axes is 0.3 µm. To be able to operate such high-accuracy drives at their best performance requires equally accurate measuring devices. This is why Schüssler-Technik has placed its bets on the ERA 4000 series modular angle encoders from HEIDENHAIN, which feature the high-accuracy measurement of the angular position with an accuracy of a few angular seconds. The ERA 4000 series modular angle encoders from HEIDENHAIN are supplied as separate components: the scale drum and the scanning head (Figure 2). They are characterized by their compact dimensions and the high quality of position information in connection with a high number of signal periods. A regular graduation structure that carries the position information is applied to the scale drums. Since an absolute reference is required to ascertain the positions, the scale drums are provided with an additional track that bears distance-coded reference marks. Because the reference marks are individually spaced according to a mathematical algorithm, the axis need only rotate by a small angle for the scanning unit to cross two successive reference marks and thereby ascertain the absolute position. For Ullrich Gäbel, “One of the outstanding benefits of the modular design is that the scale drum can be placed very close to the bearing. The advantage is that the closer the scale drum is located to the bearing, the less the effect of error from any tilting in the bearing. The result is that the measuring accuracy is hardly influenced.” The rigidity of the bearing therefore has an immediate influence on measuring accuracy. The more rigid the bearing, the more accurate the measurement can become. To attain the high accuracy grades of the angle encoders, special methods were developed of applying the graduation structure to the drum. The realized graduation with high homogeneity and edge definition as well as single field scanning with the optical filter structure enables consistently high signal quality of the output signals over the entire circumference of the drum. The subdivision accuracy values are therefore significantly better than ± 1 % of the signal period. Although signal interpolations of up to 4096 are usual, thanks to the high signal quality of these encoders, the servo controllers in the grinding machine for manufacturing optical lenses can be operated with 16 384-fold interpolation and with 24 000 lines on the encoder. 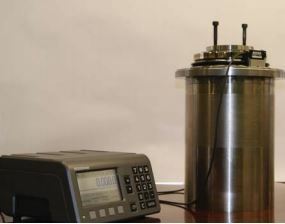 Schüssler adjusts the scale drum to a concentricity of 0.5 µm using and ND 287 digital readout, which is also made by HEIDENHAIN. 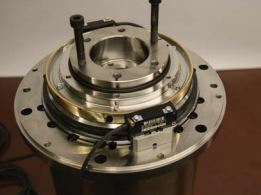 “This enables us to align the scale drum to approximately the graduation accuracy of the encoder. This wouldn’t be possible with a dial gauge,” says Ullrich Gäbel. Schüssler-Technik plans to continue using encoders from HEIDENHAIN in future developments, too. “The further development of our motors will require special solutions, too. So it’s a great advantage for us that the ERA 4000 series encoders are also offered as customerspecific solutions, for example,” explains Ullrich Gäbel. 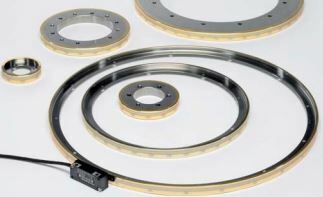 This enables them to agree on an optimal inside diameter of the scale drum for installing the encoder as close as possible to the bearing—as described above—in order to ensure the smallest possible measuring error when a bearing tilts. HEIDENHAIN’s LIF 400 family of encoders has been redesigned with several improvements. The updates to this exposed linear kit style encoder originated from listening to customer requests over the years, and now comes with much improved contamination resistance, among other enhancements.